MVP: Ricky Huggins, Lighthouse (Huggins has now been named MVP in 6 national championships. Previously he was named in the ASA Major in 1981 (Elite); ASA Class A in 1985 (Thompson’s); USSSA Class A in 1986 (Ardis); ISA Class A in 1990 (Lighthouse/Sunbelt); and ASA Major in 1992 (Vernon’s). Ricky Huggins ASA Super National MVP at age 46. Lighthouse/Worth won the first two legs of the Grand Slam by breezing to a surprisingly easy sweep of the ASA Super Nationals August 13-16 at the Sanford Memorial Stadium near Orlando. Lighthouse opened with a 15-7 win over Xtreme/Hinson/Worth, then won four more games . . . all via the run rule. Lighthouse, sparked by the MVP hitting of veteran pitcher Ricky Huggins, was a 29-14 winner over Team TPS in the finals of the winners bracket, then walloped Sunbelt/Dan Smith/Easton 37-10 in the championship game . . . after Sunbelt sent Team TPS reeling 26-25 with an 8-run rally in the bottom of the seventh that saw a grand slam by Greg Harding and a towering game-winning 2-run blast by Dan Schuck. Sunbelt had to play the last game without Jimmy Powers and Johnny McCraw who cramped up because of the heat. Shane Dubose did the same thing late in the game. Sunbelt held off Sierra/TPS 25-22 in the late game on Saturday night, leaving Sierra to settle for fourth place. Lighthouse exploded for 17 runs on 9 home runs in the first inning of the finale. Dewayne Frizzell and Huggins each had two home runs in the big first inning. The 46-year-old Huggins had a triple and three homers in his last four at-bats in the win over Team TPS Saturday night. He added another HR for a string of 6 in a row, then hit another for a spree of 7 HRs out of 8 swings. Frizzell finished the final game with five home runs. Huggins had four, Carl Rose three as the LH crew totaled 18 on the baseball field with dimensions of 330-385-330. Robbie Ergle went 6-for-6, with a home run in the big first inning. Elliott, Mendoza, Rickard and Rose also homered in the first. Huggins wound up with 11 home runs and a tourney leading 24 RBI while going 17-for-21 — an .810 average. Rose led in homers with 12. Frizzell had 11, Sunbelt’s Tot Powers 11. Rose, Frizzell and Powers had 5-HR games. Team TPS opened up an 8-1 lead going into the bottom of the third vs. Lighthouse. That’s when LH hit for 12 runs on 3 HRs — 3-runners by Frizzell and Scott Elliott and a 2-runner by Wendell Rickard, who opened the inning with a triple off the 385-mark in center. Two of Rickard’s HRs were awesome blasts. Sunbelt’s Todd Joerling hit four home runs over the center field wall, and Robin Higginbotham of Lighthouse had seven triples. Lighthouse closed out the win over Team TPS with nine runs on five home runs in the bottom of the sixth — by Rose, Albert Davis, Dennis Mendoza, Huggins and Rickard. Team TPS had to play without Todd Martin because his grandmother passed away. Lighthouse had a 22-run first inning in a 39-24 win over Steele’s/R&D. The inning saw a whopping 12 home runs — three by Rose, and two each by Frizzell, Davis and Elliott. Rickard had a homer and two singles. Lighthouse had another big inning in an early matchup vs. Sierra — 18 runs on 8 homers in the top of the second. Higginbotham had a pair of 2-runners, Davis a slammer and a 2-runner. Sixteen of the runs came after two outs. Elliott had a single and homer in the inning, Huggins a single and a double off the left field wall, Striebel a single and homer, Rickard a single and homer, Rose a long double off the base of the left center field wall and a homer and Frizzell two walks. Sunbelt was upended 26-24 by Chase in the first game for Sunbelt. Chase built up leads of 16-9 and 21-11 as Mark Weaver and Paul Brannon each walloped three home runs. Weaver had three as Chase opened with a 30-10 romp over Planet/New/TPS. In nip-and-tuck games, Steele’s nipped Backstop/Easton 19-18 in an early matchup and Sierra held off Backstop 37-35 in the losers bracket. The only team to win the Grand Slam was Ritch’s/Superior/TPS in 1992. Last year, there were four different champions — Sunbelt in the ISA, Ritch’s-Superior/Tri-Gems/Beloli in the ASA, Shen Valley/Taylor in the NSA and Lighthouse in the USSSA. Thus, Lighthouse has won three consecutive Grand Slam events — the USSSA last year and the ISA and ASA this year. This was the second ASA Super title for LH. The other came in 1995. Huggins has now earned MVP honors in six championships. 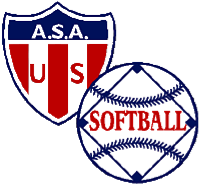 The others were the ASA Major in 1981 (with Elite), ASA Class A in 1985 (with Thompson’s), the USSSA Class A in 1986 (Ardis), the ISA Class A in 1990 (Lighthouse/Sunbelt) and the ASA Major in 1992 (Vernon’s). Sierra’s Greg Cannedy was the leading hitter at Sanford. He went 12-for-14 for an .857 average. Plus, he had two walks. Jason Fleming of Chase was next in line at .846 (11-for-13, plus three walks). Huggins was third on the list at .810. Other pace-setters for the red-hot Lighthouse crew included Mendoza at .773, Frizzell at .750, Rose at .731, Robbie Ergle at .714 (he missed the first two games because of his teaching duties) and Rickard at .708. Shane Dubose batted .731, Tot Powers .692 and Dan Schuck .682 for Sunbelt. Todd Joerling, who sparked as usual at short, and pitcher Greg Harding, who snared two rocket shots in the same inning, each had nine HRs for Sunbelt. Rickard had eight homers for Lighthouse. That number was matched by Sierra’s Hank Garris and Darrell Beeler. Larry Fredieu had five for Sierra. Garris now has 184 homers compared to 177 for Fredieu, the leader until Garris hit 12 in the ISA World Series. Jeff Wallace had a big tournament for Team TPS. He went 13-for-17 to hold on to his season on-base percentage lead at .804. He had four homers and three triples, one off the 385 sign to the opposite field in his first at-bat and one off the 385 mark in center field. Robin Higginbotham had seven triples (and four doubles) for Lighthouse. Lighthouse totaled 67 home runs in five games, Sunbelt 62 in six. Team TPS had 33 homers in four games, Sierra 29 in four. Steele’s had 27 in three games. Chase had 21 home runs in its first two games, then only six in the next two, losing 20-4 to Team TPS and 27-12 to Sierra. The all-tournament team included Huggins, Rose, Rickard, Frizzell and Mendoza from Lighthouse, Joerling, Schuck, Harding and Tot Powers from Sunbelt, Wallace and Doug Kissane from Team TPS, Cannedy, Garris and Beeler from Sierra and Fleming from Chase. The second team included Davis, Elliott, Higginbotham and Scott Striebel from Lighthouse, Jeff Hall, Britt Hightower, Shane Dubose and Todd Volkers from Sunbelt, J.C. Phelps and Doug Roberson from Team TPS, Jason Kendrick from Sierra, Larry White from Chase, Rod Hughes and Dal Beggs from Steele’s and Judson Jackson from Backstop. Lighthouse opened with a 15-7 win over Xtreme/Hinson/Worth, but started slow. Xtreme led 7-5, but did not score over the last four innings. Lighthouse sewed it up with a 7-run bottom of the sixth as Frizzell, Davis, Huggins and Rickard homered. Fleming matched Weaver’s 3-HR output in the 30-10 romp for Chase over Planet/New. Chase had a 12-run top of the sixth when Fleming, Weaver and Paul Brannon led off with successive HRs. Bob Fisher, Kenny Carver, Tim Williamson and Jose Santiago also homered for Chase. It was 10-1 after two innings. Steele’s used a 10-run, 6-HR top of the fourth to take a 15-11 lead against Backstop. Lonnie Fox, Rob Schleede, Rod Hughes, Derek Jones, Dennis Pierce and Dal Beggs homered, with the last four coming in a row. It was the second HRs for Pierce and Beggs, and Hughes added a second. Backstop managed only 1-1-2 over the last three innings, leaving a runner on in the bottom of the seventh. Judson Jackson was 4-for-4 with 2 HRs for Backstop. Melvin Mallernee had two 3-runners in the first three innings. Team TPS grabbed an 8-1 lead in the first inning vs. Reece. Wallace and Kissane tripled and Todd Martin, Dewayne Nevitt, J.C. Phelps, Phil Jobe and John Mello homered. Nevitt and Jobe homered again in the third the lead ballooned to 12-3. Final score: 21-4 in 5 innings. Martin went 4-for-4 before having to return home. A home run by Huggins helped Lighthouse to a 6-run fourth for a stunning 27-9 lead over Sierra. After a rain delay, both Lighthouse and Sierra went 1-2-3. Sierra had scored three in the bottom of the fourth. Sunbelt found itself trailing Chase by 10-3 after the first inning. Chase led by 16-9, 21-11 and 26-14 before Sunbelt rallied for 10 runs in the top of the seventh. Brannon matched Weaver’s three HRs. Fisher, Carver, Fleming and Santiago also homered for Chase. Fisher had four hits, including a triple. Weaver totaled seven RBI. Backstop, getting two homers and five RBI from David Burch and a home run from Judson Jackson, eliminated Planet/New 10-9 and Reece ousted Xtreme 11-2 as Howie Krause, Steve Dickey, Steve Ellis and Derek Oliver homered. Krause was an added player from Wessel/Hague/TPS. Three other Wessel players were pickups — Tom White and Brett Helmer with Team TPS and Tim Cocco with Backstop. Sierra’s 37-35 elimination of Backstop saw Garris go 7-for-7 with 3 HRs and 7 RBI. Beeler had 9 RBI. He went 6-for-7 with a triple and 2 homers, one a 3-runner, one a grand slam. Kendrick had six hits, including a triple, and Cannedy and Mike Rodriguez five hits each. Ron Parnell also had a triple. Backstop scored 12 in the fifth to get within 24-25, but Sierra rebounded with 11 in the top of the sixth for a 36-24 command. Bob Van Erem had three homers for nine RBI for Backstop. Judson Jackson had five hits, including two homers, and Burch had four hits, including two homers. Phil White chipped in with two triples and a homer. Sunbelt’s 4-inning 26-6 rout of Reece saw nine runs in the first and eight in the second (for a 17-3 bulge). Thirteen of the 17 runs came after two outs. Sunbelt had only one HR in the first inning — a 3-runner by Todd Volkers, the last man in the lineup. Sunbelt wound up with nine homers. Volkers hit another one. Little Bobby Gilbert had two. Team TPS saw Chase scored four runs on three home runs (by Fisher, Fleming and Brannon) in the first inning, and trailed 4-3 after three innings. But Chase did not score again. Final score: 20-4. Team TPS finally broke it open with nine runs in the top of the sixth. Nevitt had 3-runners in the fifth and sixth. Wallace hit for the cycle. Jobe and Kissane were the only other TPS players to homer. Sunbelt eliminated Steele’s in a 38-27 slugfest. Sunbelt had leads of 19-6 and 27-11. Steele’s broke loose for 11 runs in the top of the sixth to get within 26-28, only to see Sunbelt retaliate with 10 runs on 4 homers in the top of the seventh, including a 3-runners by McCraw and Joerling. This was the 5-HR game for Tot Powers. Sunbelt had 18, with Joerling accounting for three and McCraw, Britt Hightower and Shane Dubose two each. Steele’s had 11, including three by Schleede and two by David Hood. Sierra eliminated Chase 27-12 as Garris and Beeler each had three homers while combining for 13 RBI. One of Garris’ blasts sailed over the 385 sign in right center. Fredieu had two homers as the top three batters in the Sierra lineup accounted for eight of the team’s nine homers. Brannon had two for Chase. Little Dennis Mendoza was 5-for-5, including a home run, in the winners bracket finals win for Lighthouse over Team TPS. Frizzell was 5-for-6 with a homer, Rickard 5-for-6 with a triple and three homers and Huggins had his triple and three homers. A bases-loaded single by Al Davis ended the game via the run rule . . . after intentional walks to Rose and Ergle. Rose had four hits, including a homer, and Scott Elliott had two homers. Frizzell and Elliott had 3-runners in a 12-run third inning as Lighthouse grabbed an 13-8 lead. Team TPS managed only four homers. Sunbelt had 13 homers compared to nine for Sierra in the 25-22 losers bracket semifinal. Joerling and Harding each had three, Volkers two. Schuck’s 3-runner (giving him four hits in the game) and Volkers’ 2-runner gave Sunbelt a 22-20 lead in the top of the sixth. Then Sierra managed only one in each of the sixth and seventh. A hit by Cannedy loaded the bases for Sierra in the bottom of the seventh, but Garris could not connect. He had two HRs. So did Beeler, Fredieu and Everett. Parnell had a slam in the fifth, then saw Hightower run down his long drive in the seventh. Three homers each by Wallace (he was 5-for-5), Nevitt and Kissane and two each by Phelps and Roberson had Team TPS leading by 25-18 going into the bottom of the seventh vs. Sunbelt. After the first batter went out, Jeff Hall homered (he was 4-for-5) and Jimmy Powers, Joerling and Hightower got hits. Tot Powers, who was 4-for-4 with a homer, walked, setting the stage for Harding’s slammer. It was his second homer and fourth hit of the game. After a double by Dubose, Schuck socked his game-winner. He had a 3-runner just the inning before. Two-Time defending champ, Ritch’s/Superior couldn’t make it three times as they ran into a powerful Bell Corp squad led by Hank Garris and Dan Schuck. These two players combined for 26 HRs and 40 RBIs in the four games they played to lead Bell Corp over Ritch’/Superior 42-14 in the final game of the ASA Super National Championship Tournament. Bell Corp hit 23 HRs in that final game. 1993 held at Drake Creek in Johnson City, Tennessee. Ritch’s-Superior defeated Bell Corp 54-8 in three and a half innings to win the championship. Ritch’s scored 186 runs in their 5 games and only gave up 85 runs. They outscored their opponents by 100 runs in the 5 games. 1992 held at Drake’s Creek in Hendersonville, Tennessee on August 21-23. Steele’s won the winners bracket finals 32-31 over Ritch’s-Superior as they hit 16 homers in the game. Jacques Miller hit 3 HRs and 4 other players each had two. Ritch’s-Superior then came back from the losers bracket and defeated Steele’s/Sunbelt 36-25 to force the ‘if’ game. Charles Wright had 3 HRs and 9 RBIs in that game. Ritch’s was leading 16-0 in the top of the first inning of the ‘if’ game when the rains came and after a long delay, Ritch’s-Superior was awarded the Championship over Steele’s Sunbelt via ASA’s tie-breaker rule (they both beat each other once, but Ritch’s had a better overall tournament record). Bill Blake hit 6 HRs and drove in 10 runs to lead Steele’s to a 65-50 Championship game win over Lighthouse. Steele’s beat Superior/Apollo 53-44 in the semi finals. The Men of Steele hit 70 HRs over the course of the tournament (4 games). Steeles led Lighthouse 32-5, before the Stone Mountain squad woke up and came back. Wendell Rickard hit 6 HRs for Lighthouse in the game. Ricky Huggins and Steve Craven combined for 9 HRs and 12 RBIs to lead the comback. Kenny Carver chipped in with 7 RBIs. All Time Home Run Leader, Mike Macenko was named Co-MVP along with Monsterous Monty Tucker. Both had incredible tournaments tournaments at the plate for Steele’s. Both players had 18 HRs, emerging superstar Carl Rose of Lighthouse, had 17 HRs, but all three fell short to Doug Roberson of Steele’s who won the Home Run crown with 20. A record of 763 home runs were hit in the tournament, an average of about 36 per game. One week prior to this event, Ritch’s Salvage upended favored Superior/Apollo 26-24 in the bottom of the 7th inning of the “if” game as Greg Whitlock’s walk off homer with Mike Nye on base won the “Major” title for Ritch’s. In an unprecedented event, Ritch’s Salvage came from the loser’s bracket as they lost their opening game to Stewart’s of Pittsburgh 45-14. They then won six straight games and defeated Starpath/Kirk’s Glass 30-25 to capture the “Super” title. In the Championship Game, Fred Trice (4 HRs), Bill Gatti (3 HRs), Jeff Stamps (3 HRs), Dan Griffin, Britt Hightower, Mike Nye and Charles Wright all hit 2 HRs. For Starpath, Bruce Rains and Gary Jones both his 2 HRs. This was the first and ONLY time a team won the Major and Super titles in the same season. The wind was a big factor in this tournament as it was blowing out hard in the first two days of competition. 125 HRs were hit in the four games played Thursday Night and on Friday in the nine games played, 363 HRs were hit. Steele’s hit 56 in one game. The last two days, the wind turned and was blowing in and things were very different. The format was two 7-team brackets playing double elimination with the two winners playing a one game championship. In some individual accomplihments, Charles Wright (Super MVP) was first team All American in both Super and Major. Rick Scherr, Mike Nye and Cody Wyatt also garnered first team selections on both. Don Clatterbaugh, Dale Mayo and Stave Yancey were all first team Super and second team Major. Dave Steffen was 2nd team Super and 1st team Major, while Steve Craven and Doug Roberson were second team in both Super and Major. Worth Mentioning was the fact that the HR champ, Britt Hightower made an incredible diving catch to save the game for Ritch’s in the bottom of the 7th inning with two outs and two men on base. Former Major Leaguer Doug Flynn earned the ASA Wilson Field Master Gold Glove award as the outstanding defensive player in the tournament. For the record, Charles Wright and Mike Nye were the only two Ritch’s players to be named first team All-American in Both the Major and Super events. Starpath had to defeat Sports Heros twice to gain the ASA Crown and that’s just what they did. The scores were 18-15 and 17-13. Leading Starpath’s offense in both games were MVP Dave Johnson, who came up big all weekend. Home Runs for Starpath in the final two games were: Dave Allen (5), Scott Jones (4), Gary Jones (2), and Dennis Graser with 1. Leading Sports Heros was Doug Berfeldt (2) and Gary Morris (2). There were a couple of big outputs in the Tournament. Bruce Rains (John Hanson) and Rick Hollingsworth (Lighthouse) both hit 5 HRs in a game.